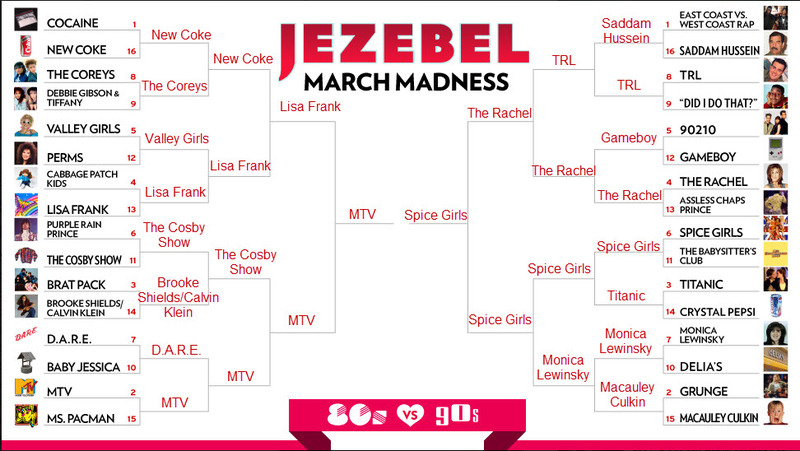 Earlier this week I mentioned that Jezebel has an alternative March Madness bracket, this year, 80s vs 90s. It doesn’t really make a lot of sense, but hey, it’s a fun thing to do. I did my Jezebel bracket differently than my NCAA bracket – instead of choosing what I thought would win, I just chose what I like. I don’t have anything riding on the results of this one – it’s just fun!